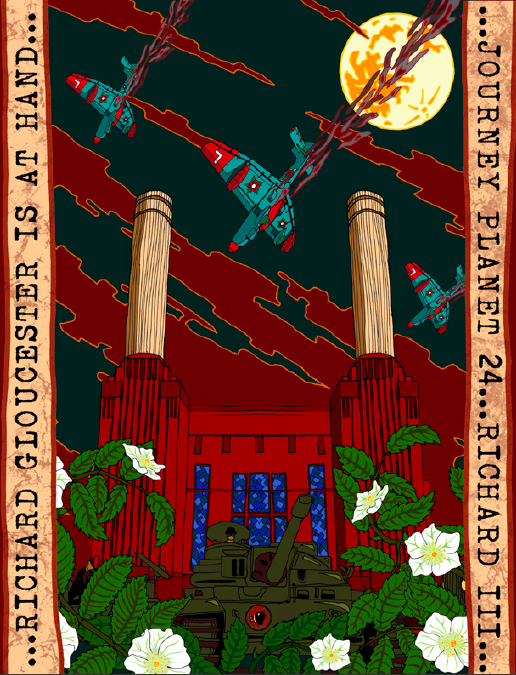 Out now, Journey Planet 24: In Memory of Richard III. 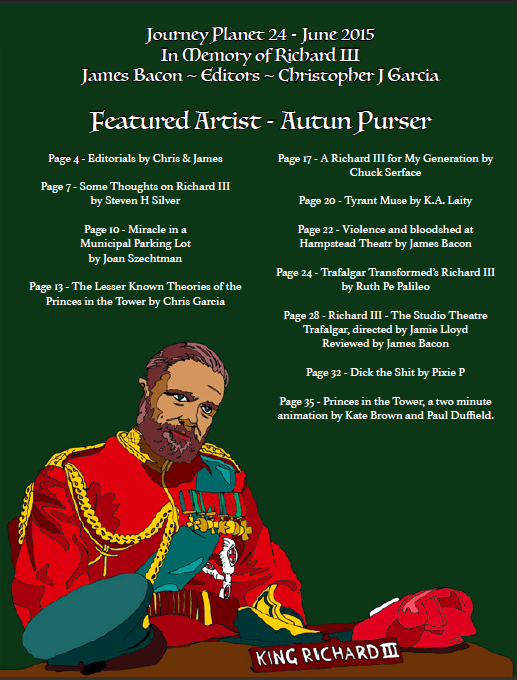 Yes, the car park monarch rides again in the pages of JP. James and Christopher have lured a bunch of folks together to muse on the king more legend than fact, forever (mis)shaped by the Bard’s juicy account. And you can read it all for free by clicking here!